NEW! MadBite is the landing net to have! 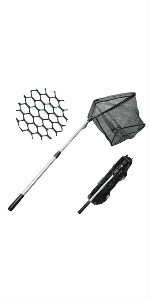 MadBite compact fishing net is foldable and retractable. Durable, supple, tangle-free coated fine mesh net captures even the smallest (or biggest!) fish. Its special coating guards against your hook points getting stuck in the net and it will not harm the fish’s scales aiding safe quick release. 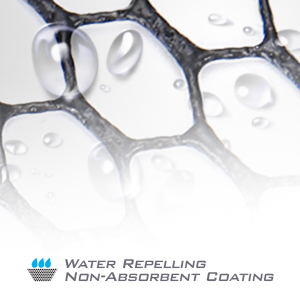 The fish net coating is non-absorbent and will not get heavy with water. 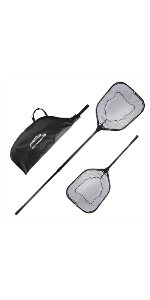 Scoop up your fish with this amazing, lightweight yet powerful fishing net that folds for easy storage. 3 great net sizes, 16”(Fixed Handle), 20” & 24" hoops size. 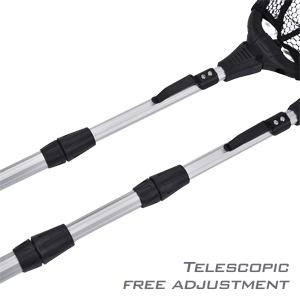 Telescopic handles retract to as small as 21". 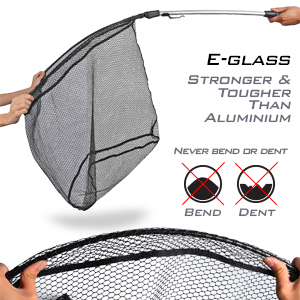 MadBite fish landing net hoop is made of tough, durable e-glass that withstands impact and will not dent or bend like aluminum. 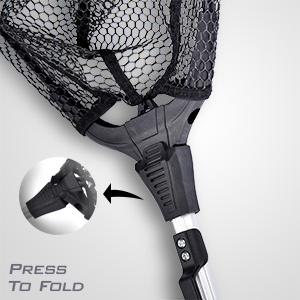 The push button to fold the net is made of very strong, durable industrial nylon material. Handle is made of high-grade octagon-shaped aluminum. The hand-hold end of handle is made of non-absorbent PVC material. MadBite fish landing nets have a convenient belt clip for easy transport. All components are non-rusting and saltwater approved. Non-glare finish. Put it in the boat with MadBite. MadBite fishing nets…Madly Different! Change length with easy telescopic adjustment. Folds to fit anywhere for neat and compact storage. 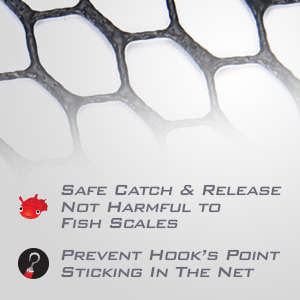 Net’s special design mesh will not harm fish or fish scales for safe catch and release. Mesh is coated with non-absorbent layer that prevents waterlogging, bacteria and odor absorption, and hook points from sticking. Stronger durable component materials resist bending and cracking. 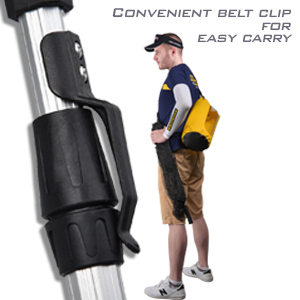 Belt clip for easy carrying on fishing adventures goes anywhere. Great fishing net for the money. The only complaint is that treble hooks tend to get hung up in the small netting. I gave it 3 stars as a rabbit catcher. Only 3 stars because I have yet to capture our annoying backyard rabbit with it. Not the products fault. Poor technique on the operators part.I can tell you it holds up quite well during all the attempts to catch that little critter! Wide mouth and easy to fold. Good value for the price. Not a flimsy net. Great addition to my fishing tackle.